When working with individuals to improve their ability to maintain their center of gravity, you initially think of static and dynamic balance. The first level of intervention for your patients who demonstrate instability due to lack of ability to control their center of mass is anticipatory adjustments. An activity that qualifies as being an anticipatory adjustment is when a patient is made aware of a task to perform and the patient has to then perform the task. The patient is able to think and know the desired movement pattern for the defined situation. The patient is able to practice both physically and mentally the physical response and movement pattern. An example of a patient who would need to master anticipatory adjustments would be a patient who is not able to easily move to perform an activity like the star excursion balance test. When patients are not able to successfully weight shift and move their center of mass in a controlled manner (like movement patterns in the star excursion balance test), the patient is unstable and is at high risk of falling. Providing activities that focus on anticipatory adjustments will help the patient learn center of mass and how to control center of mass. The video shares how a person can be directed to perform various movement patterns and how the center of mass can be controlled. The video also shares what failing to control the center of mass would look like. This video demonstrates activities defined as anticipatory adjustments that can be performed in the clinic. This video demonstrates another way to include anticipatory adjustments. The patient is reacting to what lights up, but from a balance perspective, the patient is making anticipatory adjustments in order to respond. This final video is my video of a patient making anticipatory adjustments as she tandem walks. When I work with patients to improve their balance, I use a suspension system. The patient wears a harness that attaches to an overhead track. I have some slack in the line attaching to the harness so that if the patient loses balance, the patient will feel that loss of balance. The other aspect that I believe is really, really important when it comes to helping patients improve their anticipatory adjustments is feedback. I am watching how the person initially chooses to move the center of mass. I offer suggestions and even exercises if it seems the patient doesn't quite have normal recruitment patterns. Clinical presentation includes information you receive from the patient. If you consider patient reported outcome measures, then you will appreciate learning the Activities-Specific Balance Confidence Scale. Confidence in balance and fear of falling are predictive of future falls. A score < 67% indicates an increased risk of falling. A patient who needs interventions that require anticipatory adjustments will share stories of having difficulty feeling safe walking outdoors. Will report holding onto furniture or walls while walking. Will mention feeling unsteady. The Berg Balance Scale is a performance measurement tool that can be used to determine if a patient is at risk of falls. As you observe your patient, you may notice that they demonstrate some gait characteristics that could be interpreted as compensating for unsteadiness. Patients will demonstrate a slower gait speed. Patients will decrease their step length. Patients will have an increased step width. Stopping Elderly Accidents, Deaths and Injuries (STEADI) for screening ideas. Activities like ball throwing help with providing a perturbation along with an anticipatory adjustment to maintain balance. ↑ Powell LE, Myers AM. The activities-specific balance confidence (ABC) scale. The Journals of Gerontology Series A: Biological Sciences and Medical Sciences 1995;50:M28-34. ↑ Merrill R. Landers, Sarrie Oscar, Jessica Sasaoka, Kyle Vaughn; Balance Confidence and Fear of Falling Avoidance Behavior Are Most Predictive of Falling in Older Adults: Prospective Analysis, Physical Therapy 2016;96:433–442. ↑ Cleary K, Skornyakov E. Predicting falls in community dwelling older adults using the Activities-specific Balance Confidence Scale. Archives of gerontology and geriatrics 2017;72:142-5. ↑ Raad, J, Moore, J, Hamby J, Lainez Rivadelo, R, Straube D. A Brief Review of the Activities-Specific Balance Confidence Scale in Older Adults. Archives of Physical Medicine and Rehabilitation 2013;94:1426-1427. ↑ Yiou E, Caderby T, Delafontaine A, Fourcade P, Honeine JL. 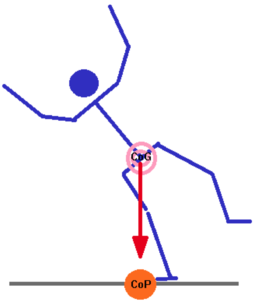 Balance control during gait initiation: State-of-the-art and research perspectives. World Journal of Orthopedics 2017;11:815. ↑ Aruin AS. Enhancing Anticipatory Postural Adjustments: A Novel Approach to Balance Rehabilitation. J Nov Physiother 2016;6(2):e144.